Philip III was the son of Philip II ans his fourth consort, a Hapsburg cousin, Anna of Austria. In addition to reigning as King of Spain from 1598-1621, he was also, as Philip II, ,King of Portugal, Naples, Sicily, and Sardinia and Duke of Milan. Although also known in Spain as Philip the Pious, Philip's political reputation abroad was largely negative – an 'undistinguished and insignificant man,' a 'miserable monarch,' whose 'only virtue appeared to reside in a total absence of vice,' He showed himself to be indolent and indifferent to his responsibilities as the ruler of a major world power. From the beginning, Philip placed state affairs entirely in the hands of his court favorite, Francisco Gomez de Sandoval y Rojas, Marques de Denia, Duke of Lerma- the first in a line of royal favorites who governed 17th century Spain. Although Philip inherited his father's philosophy for governing, he lacked the same zeal and was content to amuse himself with lavish court festivities, ignoring Spain's growing ecconomic problems. Despite his indiference to governing, Philip's reign was characterized by a successful foreign policy of peace in Westwen Europe and internally by the expulsion of the Moriscos (Christians of Moorish ancestry). 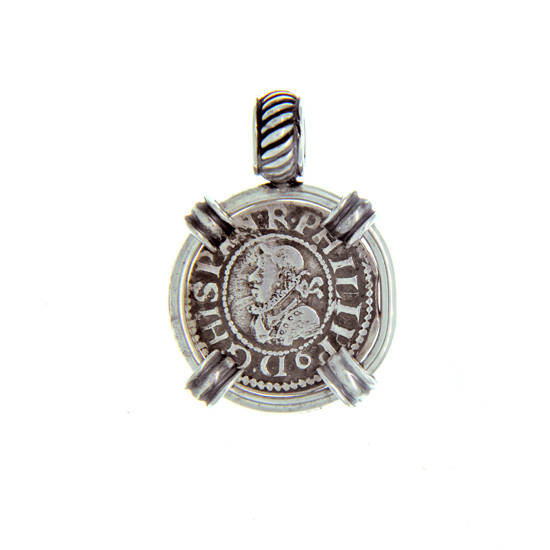 During his reign, silver cobs (hand struck coins) were minted in denominations of 1/4, 1/2, 1,2,4, and 8 reles. Gold cobs were minted in denominations of 1,2 and 4 escudos. 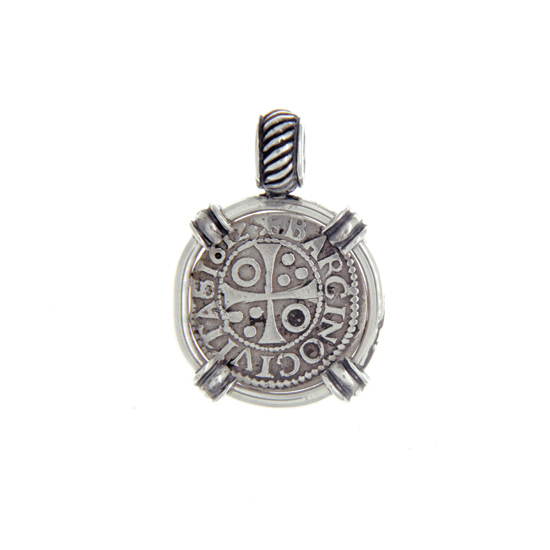 the term "croat" derives from the Latin grossus denarius, graet coin, a common term for silver coins of higher value than pennies. Spanish croats was only minted in Barcelona, Spain.